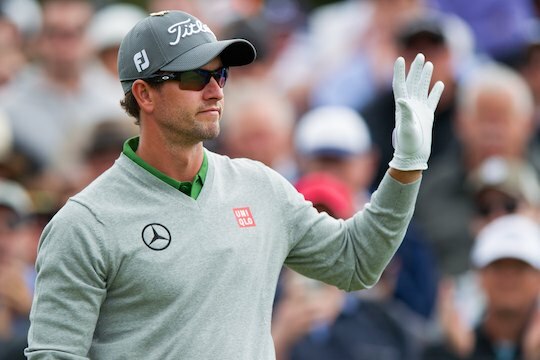 Australia’s US Masters champion and former world number one player, Adam Scott, is returning to compete in the Emirates Australian Open at The Australian in November. Golf Australia confirmed today that Scott, the world No. 11, would tee it up alongside Jordan Spieth, in the nation’s most prestigious tournament from November 26-29 in Sydney. Scott, 35, came close to winning the United States Open recently with his dynamic finishing 64, eventually tieing for fourth at Chambers Bay, reuniting with his longtime caddie, Steve Williams. He also tied-10th at the Open Championship at St Andrews over the weekend. Adam is one of Australia’s all-time great players; the 2013 US Masters Champion, the only victory by an Australian at Augusta National; a multiple winner of top-level tournaments around the world and a former World No. 1. The Queenslander won the Australian Open at New South Wales Golf Club in 2009, eclipsing the field by five shots at the tournament’s only visit to that venue. He has been a regular contender in the country’s most famous tournament, finishing fifth at The Australian last year, runner-up to Rory McIlroy in 2013, 14th at The Lakes in 2012 and fourth in 2011. “The Australian Open is a tournament that I value highly, Sydney is a great city and The Australian Golf Club is an excellent venue for Championship golf. I am really looking forward to competing to win my National Open once again,” said Scott.